...and nothing funny whatsoever happened. Here's the latest for Investing.com. It deals with the upcoming vote in Ukraine. Ukraine has been the setting for some fairly intense turmoil as of late, and the most recent comic for Investing.com deals with the potential ramifications on global financial markets subsequent to the upcoming vote. 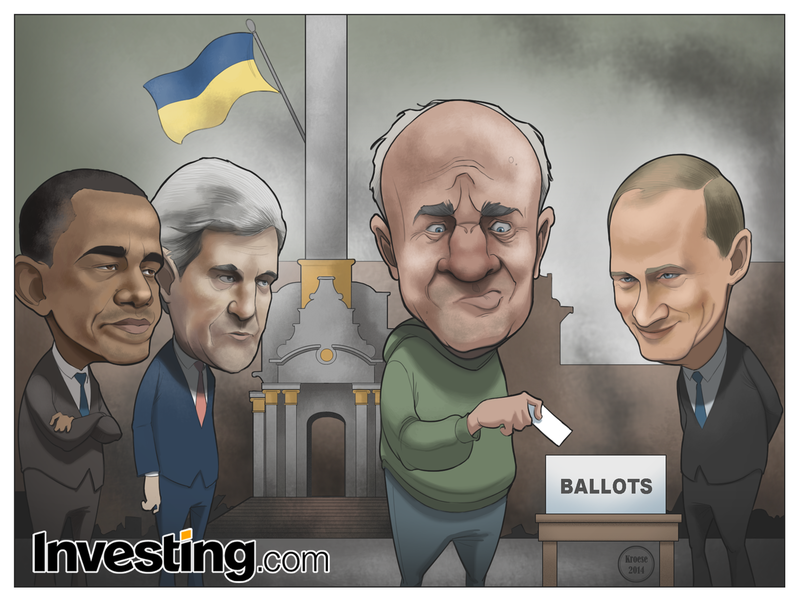 I was asked by the crew at Investing.com to draw Barack Obama, John Kerry and Vladimir Putin looking on as a Ukrainian citizen places a ballot into a ballot box. The background was to be a smoke-filled Maidan Square. The past two comics for Investing.com have featured non-human elements as the focal point (a rocket in one and a balloon in the other). I was happy to have the variety, but I worried a little that I might be somewhat rusty upon returning to drawing people again. And boy, howdy, was I. I ended up drawing Obama, Kerry, Putin, the Ukrainian man, and then doubling back to re-draw Obama because my first attempt was awful. This is where I would include that sketch, but it was so bad that all knowledge of its existence has been disavowed. 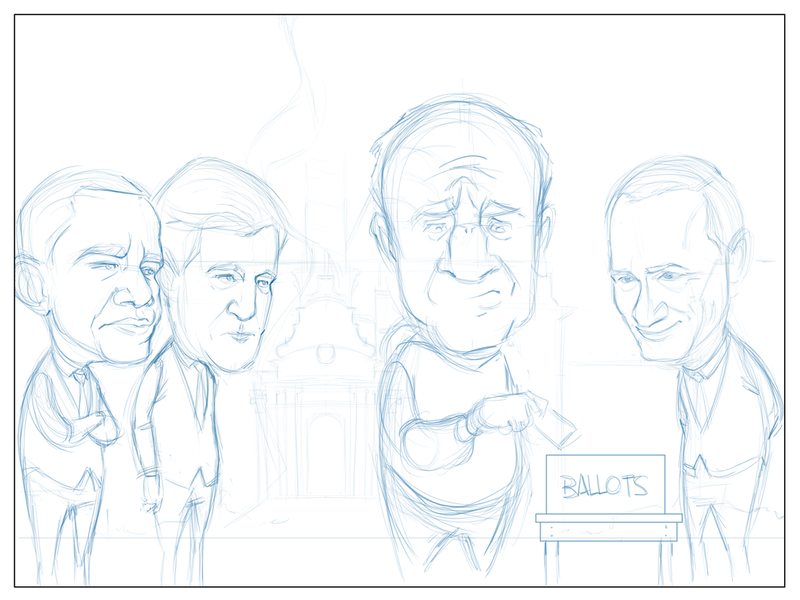 Anyway, this comic was a toughie, but I did get to draw John Kerry for the first time. That was pretty fun. I'm not sure I did a great job, but it was fun nonetheless. Not a bad comic, IMHO (as the kids say these days).